Can you tell us about your new store Cint? It is a ladies’ boutique. I have a lot of Australian designer’s labels as well as a lot of imported labels I source from agencies in Sydney. These international brands haven’t been represented here before, so I’m giving Orange customers a great fresh new look when it comes to fashion. Is this a new retail venture for you? No, I had this store in Young, and Cint was already an established business there for 10 years, when I bought it three years ago. I'm originally from Orange and I am very excited to be coming home. 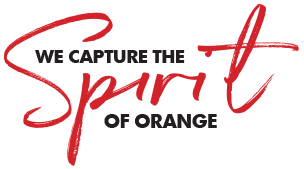 The way Orange has developed is amazing and here there is more opportunity, a bigger demographic, more tourists. Cint was a great store in Young and hopeful it will be a great store in Orange. Do you sell more than just women’s clothing? What would be the target demographic of your customers? I have a 14-year-old daughter that I’m dressing out of the shop now, so there is something for teenagers through to on-trend 80-year-old ladies. What can customers expect from your store that they won’t find in other local boutiques? Fresh, new labels they haven’t seen before and just a different take on things. There are some beautiful boutiques already in Orange, but I think having competition is good and we can complement and support each other. That’s a big thing for me; if I can’t help someone, I will always direct them in another store’s way, so hopefully they can help them out there. Do you also have an online presence? I established an online shop about 15 months ago and we offer a 14-day free return for an exchange or credit to give people a bit of comfort in knowing that if they don’t love it, they can send it back. We do a lot on Instagram and Facebook feeds, and if you sign up to our weekly newsletter, we can give you a heads up on what's coming in.